Although there's been plenty of awful airline industry news circulating in the last few days, things are looking up today for those hoping to score a good deal on a trip overseas because there are cheap fares currently available from nearly every US city to Scotland, Ireland, Spain, Lithuania, Latvia, and a couple other European countries. The deals aren't expected to last long, though, so you better book fast. The deals, which were spotted this morning by Scott's Cheap Flights, are available on American and Delta as well as partner airlines like Air France, KLM, Iberia, and British Airways, and appear to be available for trips during late April and early May of this year, as well as September through February 2018. In terms of pricing, you're looking at roundtrips in the low $400s, or roughly half what you'd typically pay around these times. 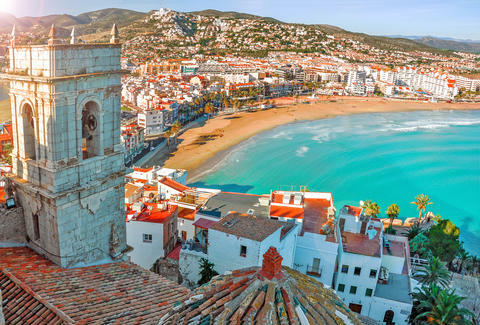 Many of the flights can be found via Google Flights, though SCF says if you can't find them there, alternately try plugging your dates into Priceline or Momondo. Also, keep in mind that not every US city on the list below has availability to every listed destination city. Odds are good that many, if not all, of these deals will disappear very soon, so you'll need to act fast if you want in. 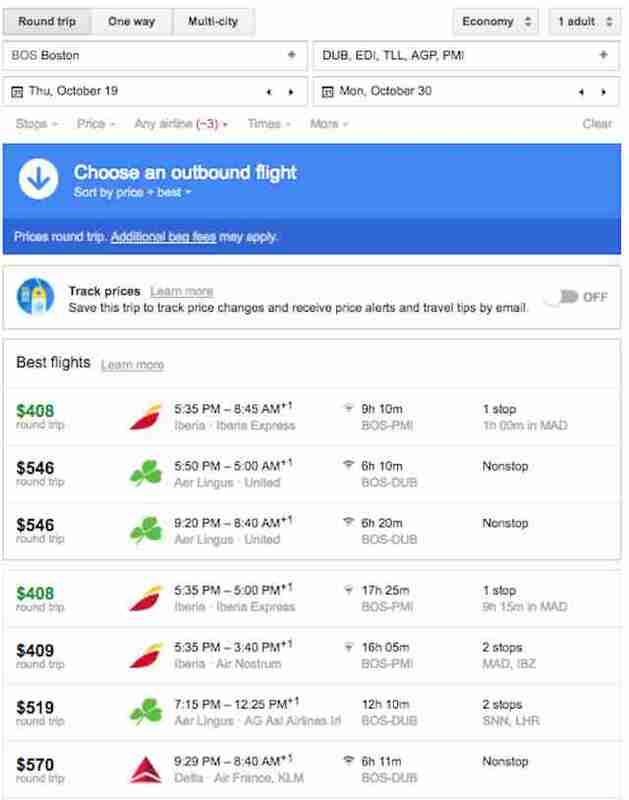 As of this writing, we were still able to find a number of great fares, including some out of New York in May and others leaving Boston in October -- both via Google Flights. Good luck! Joe McGauley is a senior writer for Thrillist. Follow him to bargain basement Euro trips @jwmcgauley.